Seoul and Tokyo are at odds over Japan’s participation in planned multinational maritime exercises in spring, raising tension between the two countries already strained by a recent military spat and historical issues. The 10-member Association of Southeast Asian Nations and eight other partner countries, including Korea, plan to hold maritime exercises first in the coastal waters off Busan from April 29 to May 2, followed by waters off Singapore from May 9 to 13. After finalizing details during the ADMM-Plus Experts’ Working Group on Maritime Security Final Planning Conference in Busan on Thursday and Friday, Seoul’s Defense Ministry said in a press release that 16 warships from 11 nations were confirmed to take part in the exercises while the remaining seven states would join as observers. According to the ministry, Japan will not send naval vessels in the first part of the exercises to be held in waters off the Korean Peninsula, but it will send two warships from its Maritime Self-Defense Forces for the second part of the exercises in waters off Singapore. 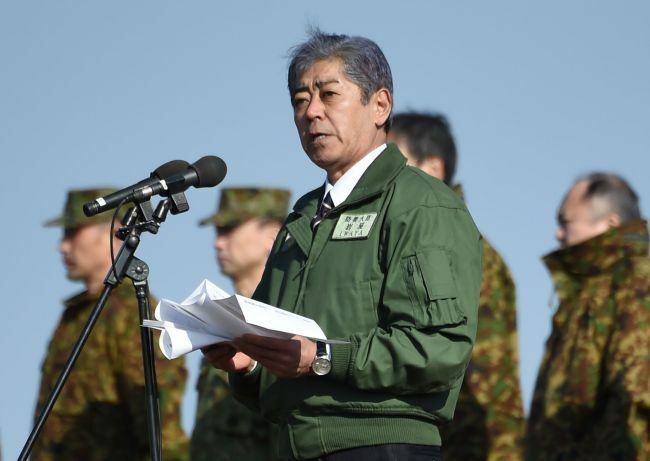 However, on Saturday, Tokyo’s Defense Minister Takeshi Iwaya was quoted by a Japanese news outlet as saying that Japan would be participating in the first part of the exercises. “The naval vessels will hold off entering the Busan port, but they will participate in all the other programs,” Iwaya was quoted as saying by Japan’s Asahi Shimbun after inspecting ground self-defense forces in Nagasaki prefecture on Saturday. “There is no benefit for Japan in not taking part in the multinational exercise,” he said. Iwaya also said he wants to promote defense cooperation between Japan and South Korea. With bilateral relations strained by a recent maritime dispute and Korean court rulings unfavorable to Tokyo, Japan’s absence in the exercises had been widely speculated in Korea. Regarding the differing responses, Seoul’s Defense Ministry reiterated Sunday that the Japanese representative had said it would only participate in the second part of the exercises during a working-group meeting. “Japan’s change of stance would have to be verified by the Japanese government,” the ministry said. The ASEAN Defense Ministers Meeting Plus consists of 10 ASEAN member states and eight other nations: Korea, Japan, the United States, Australia, China, India, New Zealand and Russia. The upcoming naval exercises will focus on enhancing cooperation in countering maritime crimes and protecting gas fields or other ocean-based facilities.